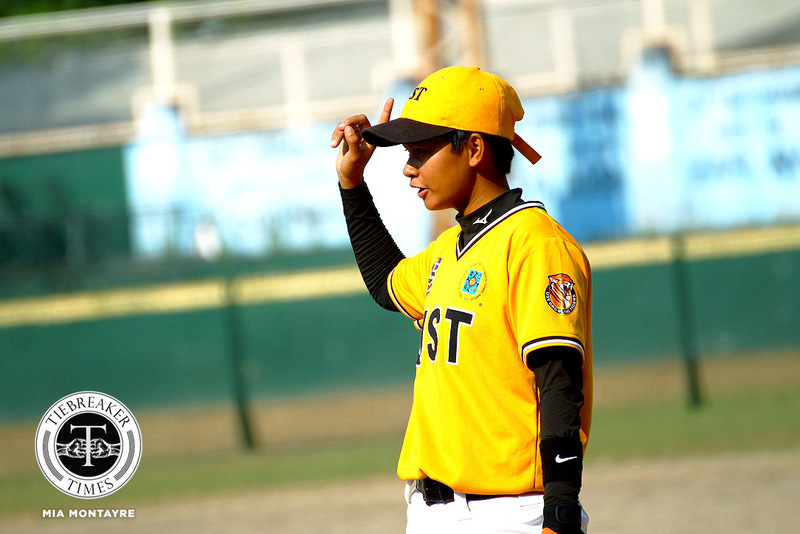 Coming off a dominant Game One win, the University of Santo Tomas Tiger Softbelles rode their momentum, booting out the De La Salle University Lady Batters in just five innings, 9-2, Monday morning at the historic Rizal Memorial Baseball Stadium. With the two-game sweep, the Tiger Softbelles advanced to their fourth straight finals. 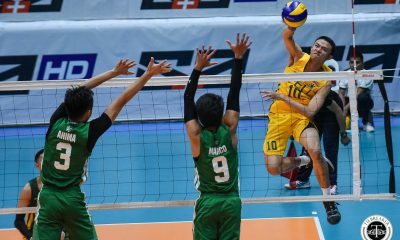 But it was an unexpected one for head coach Sandy Barredo, as he lost Philippine ace Ann Antolihao to graduation a season ago. “Well, hindi ko ine-expect na makakarating kami muli dito kasi karamihan ng players ko rookies. Umaasa kami sa mga beterano namin. Nag-deliver lahat this series,” the grizzled head coach shared. This time around, UST fired on all cylinders compared to their 12-6 Game One win. Down 0-2 due to errors after the top of the second inning, Trisha Belano and Celyn Ojare provided the spark, connecting on a base hit and a double respectively in a three-run inning. The floodgates continued in the third inning, as a sac fly to left field from Charlotte Sales brought in two more runs. Hits by Lea Guevarra and Trisha Tiolon punched in four-more runs that created a five-run cushion. Two more runs in the fourth inning punched UST’s ticket to the finals. “Nung Game One, sabi ko sa kanila na kuntento na ko sa third place. Eh sabi nila, gusto nila maglaro. Kanina, sabi ko last game na ito, sabi nila laban lang! Ayun, nag-deliver,” enthused Barredo, a former UST Golden Sox player. Graduating catcher Tin Palma and Tiolon had two hits each. Besides allowing just one hit in the four innings she pitched, Celyn Ojare had two RBIs as well. Pitcher Jamica Arribas, center fielder Badeth Benson, and right fielder Mercy Arroyo played their final UAAP game. The Lady Batters will settle for bronze. UST will take on arch-rivals Adamson University Lady Falcons in a three-game series. Game One takes place on Friday, 29 at 8:00am.